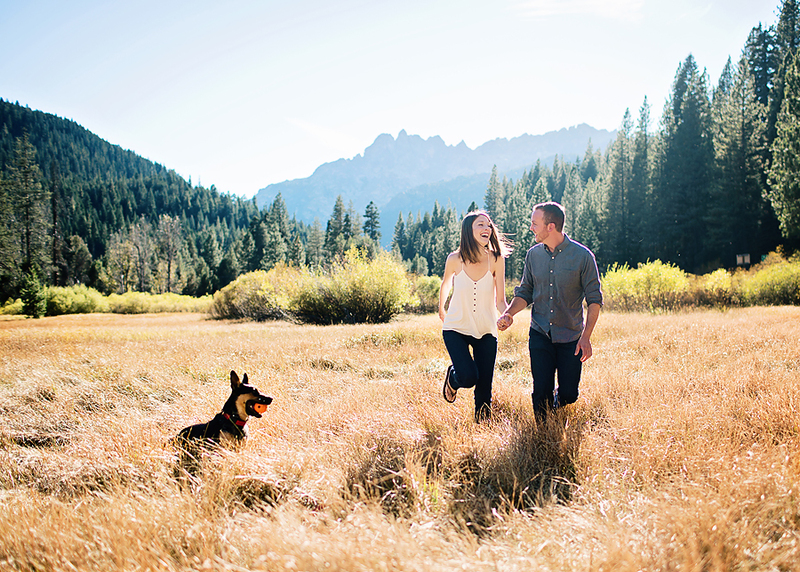 While we all live in the Bay Area, Stacy and Brian requested that we do their engagement session in the high Sierras, specifically at Sardine Lake in the Tahoe National Forest. For generations Brian's family has been coming here so it's infused with memories and tradition. Not only that, but Brian proposed to Stacy high atop a peak at this very place. I brought my family along and we stayed in the cutest one room cabin with no cell service and no internet (we had to drive 90 miles out of the mountains for that). My kids are city kids through and through so this was quite the experience for them :) Stacy and Brian left a bottle of wine in our cabin along with a note welcoming us to their special slice of heaven. 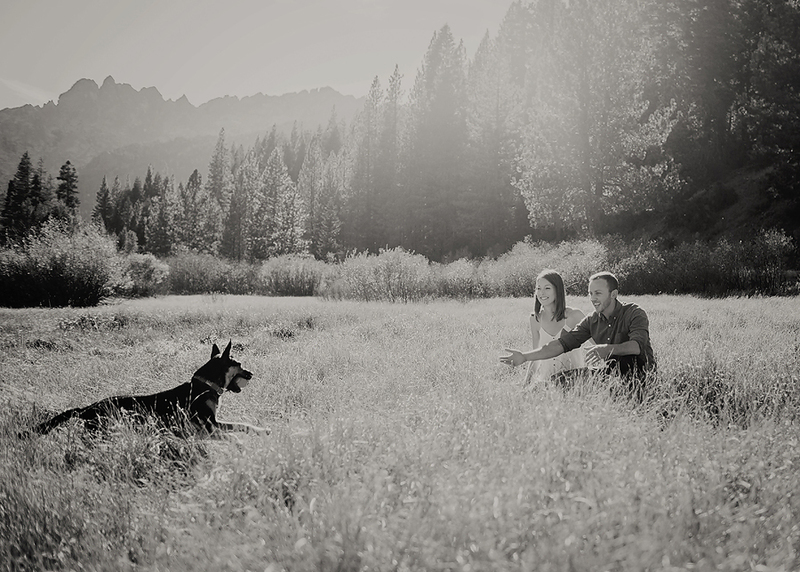 For our session we jumped in a car with their adorable dog Cowboy and explored the area. 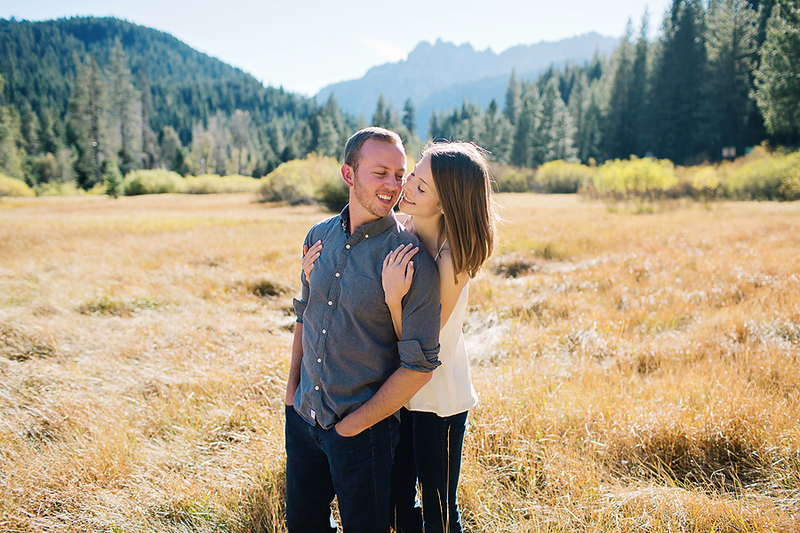 We knew that we wanted to end our session on the lake in rowboats right as the sun crested behind the mountains. 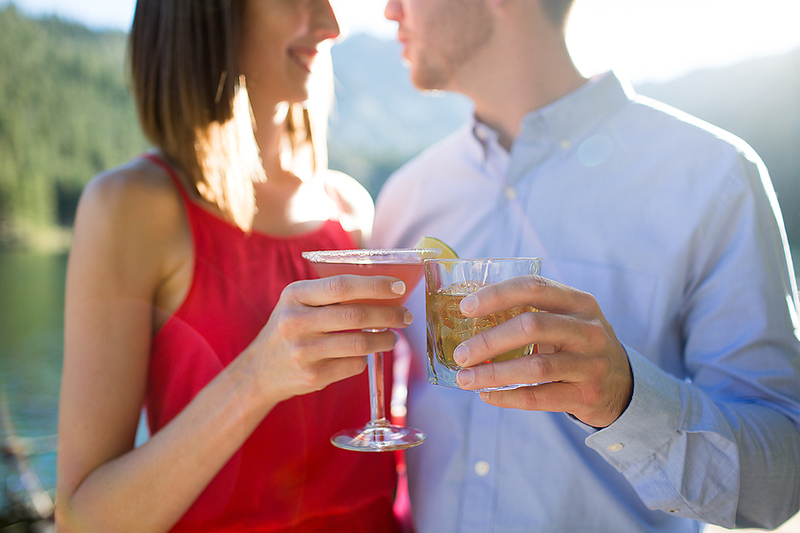 We frolicked in late summer meadows, splashed around in a stream, loosened up with a cocktail, and then went out on the lake. It was magical.